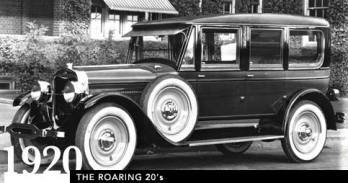 Presidential Limosine, a 1924 Lincoln. Photo by National Photo Co. U.S. Library of Congress. Since 1921, Lincoln has been an icon of the American power elite. 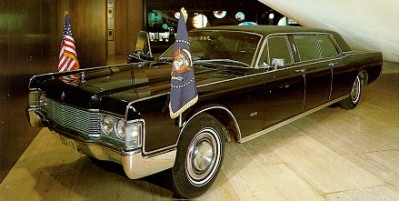 The lincoln brand quickly became known for its unique comfort and luxury. Lincoln continues to capture the American spirit to this day with its world-class luxury vehicles and remains a leader in the American luxury automobile market. Unknown to most, Lincoln was started by Henry M. Leland, the founder of Cadillac. General Motors purchased Cadillac from Henry M. Leland for $5.5 million in 1909. Henry M. Leland is invited to continue operating Cadillac, which he does until 1917, when he decides to form Lincoln Motor Co.
Five years later, for just $8 million dollars, Ford Motor Company bought Lincoln Motor Company from Henry M. Leland. Lincoln became the first "outsider" to join the Ford family of brands and began Ford Motor Company's beginning as the manufacturer of an American luxury automobile icon. The 1922 Lincoln Town Car, (shown below), was custom-built on the request of Henry Ford for use as his own personal vehicle, and featured an open chauffeur's compartment and a fully enclosed passenger compartment. Commonly Referred to as a "Limosine" today, this configuration elevated Lincoln to a true american symbol of status and power. By 1924, the Lincoln brand was fast becoming the car of choice for the powerful and wealthy segment of American society. Lincoln owners included such notables as Herbert Hoover, Thomas Edison and W.C. Fields. Lincoln takes an approach that embraces elegance and style, with a balance of excitement and restraint. Unique and unabridged. Like most Lincoln owners, Lincoln refuses to compromise on performance, style or comfort. As a result, the experience of driving a Lincoln is pure luxury and excitement. You only need to glance at Lincoln's luxury car line-up to see this for yourself. Lincoln's vehicle model history is primarily dominated by a few evolving lines of luxury cars, including the Lincoln Mark, Lincoln Continental and Lincoln Town Car. Each new model year is improved to meet Lincoln Motor Company's goal of providing "elegance at its finest". It's no wonder that I, among many others, are devout Lincoln enthusiasts. This website is not associated in any way with Ford Motor Company or any of its subsidiaries. This website is meant to be reference and information website only.